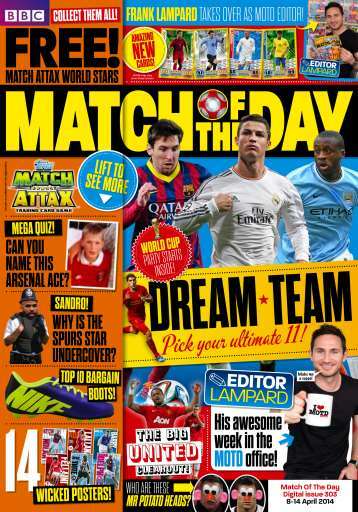 This week's Match Of The Day digital edition is edited by Frank Lampard! The Chelsea legend answers your questions, reveals his World Cup dream team and loads more. We also meet Aguero and Sandro, plus there's the usual gossip, funnies, gear, competitions and quizzes. Get involved!